Queensland Poetry Festival would like to announce the winners for the three main Arts Queensland Poetry Awards: the Thomas Shapcott, the Val Vallis, and the XYZ. Congratulations to all winning and highly commended poets from QPF. Congratulations to all the winning and highly commended poets from QPF. The Peter Porter Poetry Prize is one of Australia's most prestigious prizes for a new poem. The Prize – now open to all poets writing in English – is named after the great Australian poet Peter Porter (1929–2010). The Prize was first awarded in 2005 (Stephen Edgar) and was renamed in 2011, following Peter Porter's death. Past winners include Tracy Ryan, Judith Beveridge, and Anthony Lawrence. To date, Judith Bishop is the only poet to win the Prize twice. Each year all the shortlisted poems are published in the magazine, giving them equal prominence. The overall winner (who receives $5,000 and an Arthur Boyd print) is then named at a subsequent ceremony along with a runner-up who receives $2,000. The other three shortlisted poets receive $500. Entries are now open for the 2018 Porter Prize (now worth $8,500). Click here for more information about the 2018 Porter Prize. Click here for more information about the 2018 judges. The unicorn and the angel was produced by Arthur Boyd to illustrate the book of poems by Peter Porter, entitled the Lady and the Unicorn (Secker & Warburg, London, 1975). The print is generously donated by Ivan Durrant in honour of Georges Mora. Australian Poetry is looking for poems focused on the theme ‘work’ for issue 7.2, guest edited by Benjamin Laird and Cassandra Atherton. 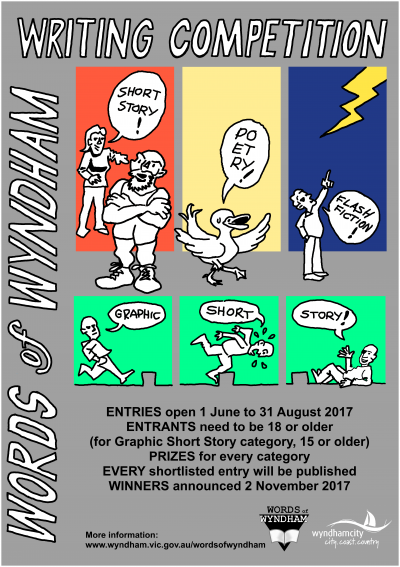 Poems can also be selected from submissions outside this focus; that is, you can also submit poems on any theme. The theme of ‘work’ is broad – please be inspired to address it curiously! Work can be seen to connect to the work-place, employment, work-place issues etc. Submissions for 7.2 can be sent to apjsubmissions@gmail.com and closes midnight, 1 October 2017. Issa can imagine and empathize with the reality of tiny creatures. For this intrepid little butterfly, for example, raindrops are crashing down like bombs. It's just a week to the next reading featuring John Stokes (Canberra), Merlinda Bobis (Canberra and the Philippines) and Andrew Burke (Perth). It's on Wed Aug 9 at 7.30 in the Fellows Bar at University House. At the moment there are only nine people coming! Andrew Burke's latest book is a small pocket-sized book in English and Mandarin entitled The Line is Busy (Flying Islands Press). Before this he has had a baker's dozen books published and countless book reviews. He holds a doctorate in Writing from Edith Cowan University where he used to lecture. He will have flown all the way from Perth on the 'Red-eye Special'! Don't miss him. After four novels, Merlinda Bobis has returned to poetry with Accidents of Composition (Spinifex Press 2017). In 2016 her novel, Locust Girl. A Lovesong, received the Christina Stead Prize for Fiction. In 1998 her Summer Was a Fast Train Without Terminals was shortlisted for The Age Poetry Book of the Year. She's a dramatic performer of her own work. In a long career John Stokes has published widely worldwide; won or been short or long-listed for many major prizes, and represented his country internationally. His latest book, Fire in the Afternoon (Halstead Press, 2015), won the ACT National Writing & Publishing Award for best poetry book for 2015. Parking at ANU University House is best from Garran Road and on Balmain Lane off Balmain Crescent.